Social network LinkedIn's Q&A website, LinkedIn Answers, will be shut down in the end of January, said by LinkedIn on its website. 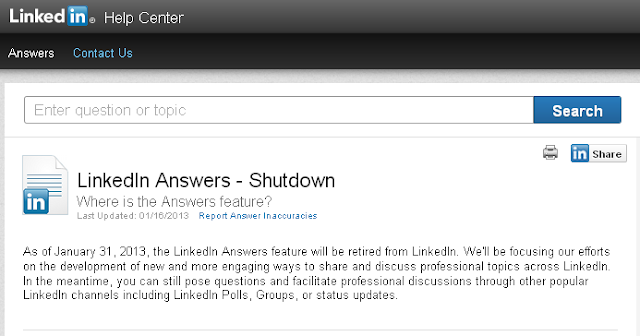 "As of January 31, 2013, the LinkedIn Answers feature will be retired from LinkedIn. ", this is LinkedIn's answer to a question "Where is the Answers feature?" 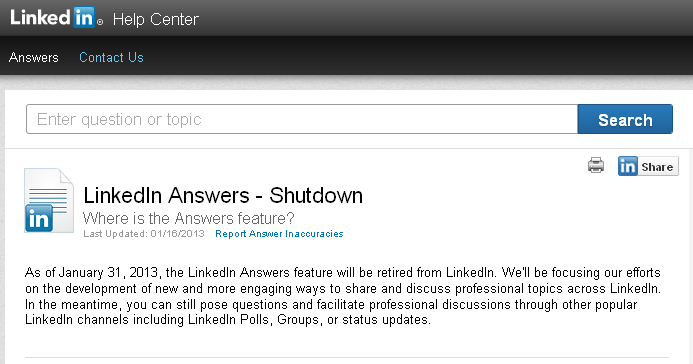 The purpose of the shutdown is to focus on "the development of new and more engaging ways to share and discuss professional topics across LinkedIn. ", said LinkedIn in its reply.